The following pdf is a combination of two texts which were produced for a one day reading of the Dalail al-Khayrat with sanad in 2011. 1. An introduction to the Dalail al-Khayrat including a biography of Imam al-Jazuli, praise of the book by scholars of the past and points regarding it’s format and transmission. 2. The second part is a translation of the dua to be recited upon the completion of the Dalail by Shaykh Ahmad al-Nakhli, a scholar of the Hijaz whom Shah Waliullah wrote about in his book ‘Anfas al-Arifin‘. This dua is found in some editions of the Dalail from the Indian Subcontinent. The sunnah of the turban after donning it is to hang (it’s tail) and to wrap the tail around the neck. If the turban is without a tail then this is disliked by the scholars. I (Saffarini) say this was the position of our scholars. It is sunnah to hang the tail of the turban, this is why the author of the poem (Allah have mercy on him) said: It is good to hang the tail behind, even it is a hands length or less as transmitted from Ahmad. “It is good” means it is a sunnah and desirable for men…Shaykh Taqi al-Din (Allah be pleased with him) said: hanging the tail between the shoulders is well known in the sunnah…and transmitted from Imam Ahmad (Allah be pleased with him) in hanging the tail behind, but not regarding it’s length as stated in Adab al-Kubra. You have learned that tahnik is sunnah, and it is to wrap the turban tail under the chin. Shams al-Shami said: wrapping the turban tail under the chin is a sunnah of the Prophet (Allah bless him and give him peace) and righteous predecessors. Imam Ibn Muflih states in his Adab al-Kubra that the upshot of his statement in al-Riayah is that it is recommended to have a turban tail for everyone as well as tahnik. Al-Hijjawi said: meaning combine between wrapping under the chin and a tail. Abd al-Malik al-Maymuni said: I always saw the turban (tail) of Abu Abdullah under his chin, and he held the view that other than this was disliked. Siyar Alam al-Nubala. He walked a little further and came across another poor person. He took his turban and split it in to two parts, he gave half of the turban to the poor person and wore the other half. This last year I undertook some studies of hanbali fiqh of worship via listening to recorded lessons, reading with a teacher in Kuwait over skype and corresponding with teachers in Saudi Arabia regarding specific issues. Coming from a hanafi background it has been a breath of fresh air for me, and teaching the rules of purification from a primer on hanbali fiqh did help to consolidate what I had learned. InshAllah from time to time I will be posting some answers here relating to the hanbali school and any details of any recorded lessons. First: the sale transaction of something which is classified as impure such as pork, the madhab position is that this sale transaction is not permitted. 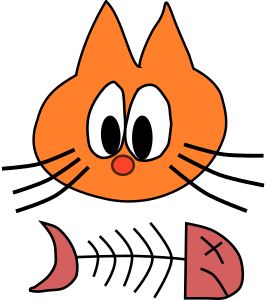 Second: the use of something regarded as impure in sacred law or haram meat to feed a cat, there are two opinions mentioned in al-Furu (6/272), namely the permissibility and impermissibility of doing so. Please find below points taken and abridged from the work Shiratul Islam Shaykh Muhammad bin Abi Bakr better known as Imamzadah d.573. Zakat is a protection for one’s wealth, it has been mentioned alongside prayer, and both are inextricably linked. Charity is not mixed with one’s personal property except that it destroys it. The sunnah is that the leader appoints a person who gathers sadaqah from the wealthy and distributes it to the needy. The person giving should take from their median property as opposed to their best or worst quality. The owner of wealth should know the month when their Zakat is payable and not go beyond it. A person should give their wealth in a good state and repelling greed. A person should send away a supplicant happy. A supplicant should pray with goodness for the person giving. Extra charity extinguishes mistakes and repels a bad ending. A person should intend by charity helping a person to worship, and should seek his best wealth and seek out the people of scrupulousness, piety and goodness from the believers. If a person gives to another after they have asked then there is no harm in this no matter who they are, for the supplicant has a right even if they come on a vehicle. A supplicant should not be turned away under any circumstance, even if it is with a kind word or a small amount. A person should not give except that which is in excess of his and his family’s needs, and not go to extremes in charity by spending his own and his families maintenance. A person who gives charity early in the day avoids tribulation. A person should give charity quietly and not announce it. A person should donate the reward of their charity to ancestors. A person should not turn away a supplicant from their door and thereby be punished. A person should not cut off a supplicant request but rather give him something or a gentle response. A person should take advantage of a supplicant at their door, for there were those who would think bad of themselves if a supplicant, gust or visitor did not come to them. A person should not count that which they give to a supplicant. A person should not expect a reward, thanks or praise from the person they give to. A person should try to give charity directly. A person should give charity to whom they feel inclined to in their heart. A person should spend that which they have separated for charity and not regard it as being from their wealth. A person should give to a content person from the believers who does not ask for more than they are given. A person should not give that which they would not take from another, but rather that which they would choose for themselves. A person should not accept something or a gift for that which they have given. A person should not remind a needy person of that which they have given them. A person should not regard as lowly the small amount that they have, rather they should give whatever is possible. Charity is not of one type. Guiding a lost person is charity. Removing harm from the pathway is charity. Explaining something to a confused person is charity. To adjudicate between two people is charity. To help a person to carry something to their vehicle or to lift it is charity. A kind word is charity. To smile in the face of one’s brother is charity. Walking to the prayer is charity. A person’s spending upon themselves and their family is charity. To plant and cultivate crops which are eaten from is charity. Likewise teaching beneficial knowledge, digging a well from which people take water, building a masjid, to give a copy of the Quran, having a child who prays for ones forgiveness after their death. Seeking forgiveness for the people of Islam is charity. Salutations upon the Prophet (Allah bless him and give him peace) is charity. To reconcile between people is charity. The best form charity is to a person’s close relatives, the best of it being to a relative who holds enmity towards them and is ill.
A Muslim man should not make a vow for charity or fasting, for it may be that they are unable to fulfil it. Please note the following errata for “The Beginner’s Gift”, as you are aware the main text is repeated twice in the book, thus the mention of two page numbers for one passage. 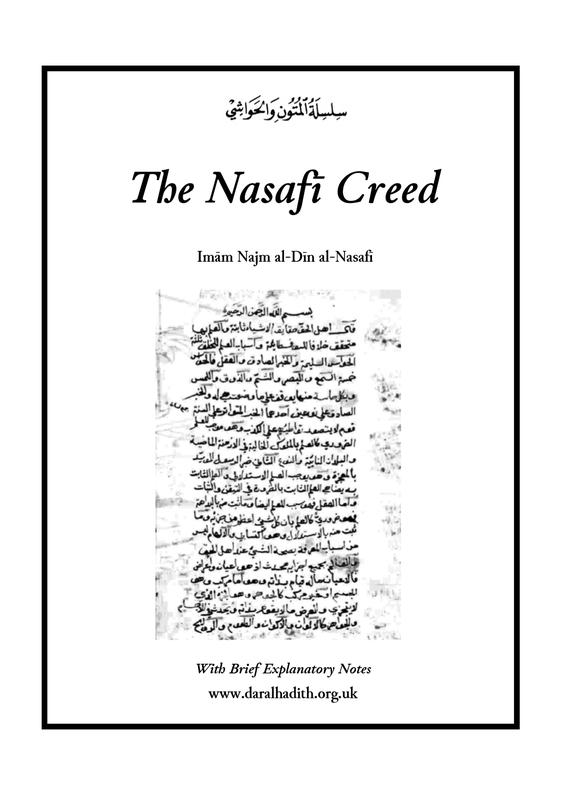 The Arabic text of the Nasafi creed is presented checked against the Ottoman and other editions. 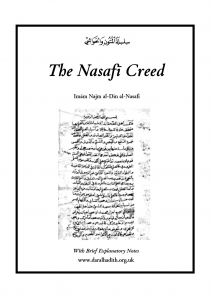 Basic explanatory notes have been added based primarily on the excellent contemporary commentary of Shaykh Abd al-Malik al-Sadi in addition to other works. The explanatory notes aim to present evidences from the Quran and Sunnah where possible, with very little by way of the ilm al-kalam arguments. We hope that this work will be ready soon inshAllah.